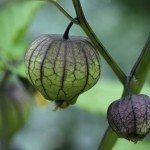 This year I decided to try growing a tomatillo. I have a huge plant now and loads of the little husk things growing on it besides lots more blossoms, but when I feel of these husks, they appear to be empty. Now I read that I have to have two or more. Does this mean that I should pull it up and plan to start several next year? Without two plants, it is unlikely that the plant will produce fruit. They may produce a few, but not much more than that. Pulling it up would be up to you. Perhaps you could find a mature plant at a local nursery that you could purchase to bring home and make the first one produce.